A warm welcome to our Early Year Foundation Stage. 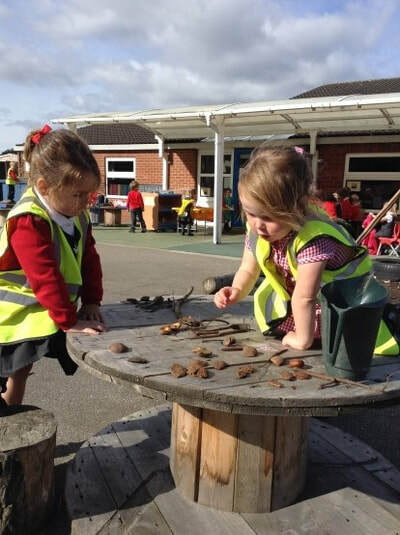 Every day is a busy day, we enhance children’s skills with moment to moment planning which takes into account each and every child’s interest and next step of learning. 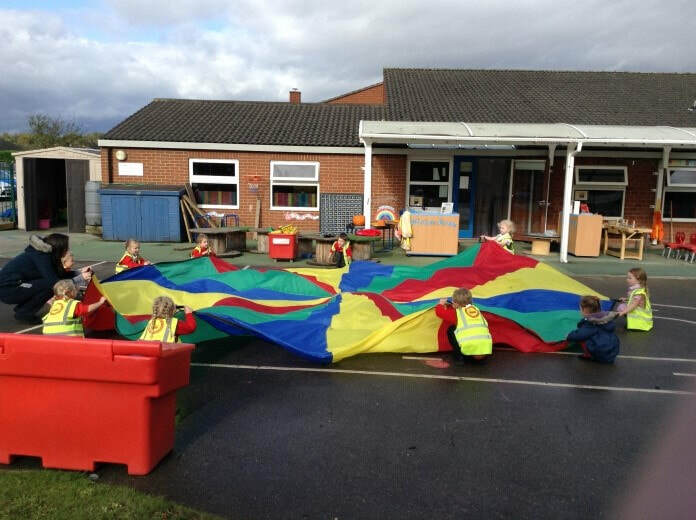 We create an interesting and fun environment by challenging the children within their play. 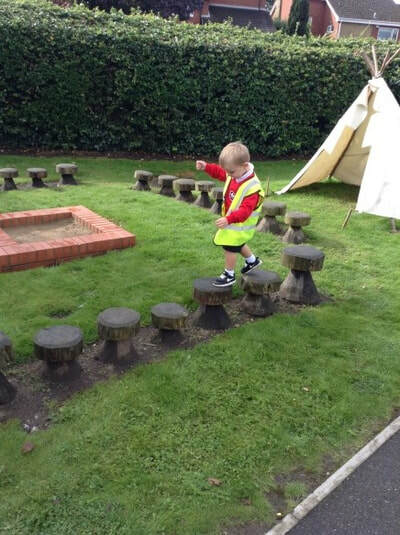 We utilise our extensive outdoor provision as free flow learning for the children to explore our natural environment and we incorporate forest skills ethos into our learning. Every day your child will experience dough disco which is a finger strengthening exercise to promote early writing skills. We have high quality provision with well trained staff that encourages each child with their language and physical development. ​The children receive Achievosaurs when they are demonstrating the Characteristics of Effective Learning. Tryatops are known for their ability to always try their best in whatever they do. They have a real ‘can do’ attitude. Thinkadocus are deep thinkers. They think carefully about what they learn and are able to talk about what they are learning. ​Each child has their very own treasure bag. These bags stay at home and come into school when your child has something special to share with the class. This might be a ticket from a place you have visited, a photograph of a special occasion or something you have made at home! 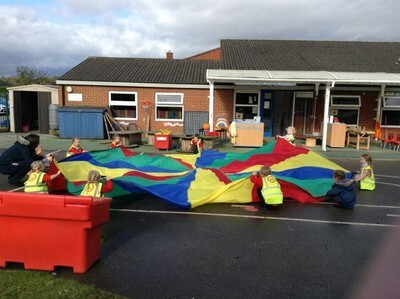 ​We have a range of funky finger activities in our continuous provision. These are important as they strengthen children’s core, hand, arm, shoulder and finger muscles which allows them to become confident and better writers. Why don’t you try some of these activities at home? Clothes pegs- how many can your child peg around a box in one minute? How many small beads can they pick up? Mix pasta and dried peas- can your child separate them using tweezers? How many bubble wrap bubbles can they pop? Don’t forget that gross motor skills such as climbing carrying, pulling and jumping are just as important! While many times getting our hands dirty can be frowned upon NWF has some new facts and figures that may have you throwing your children into the nearest mud puddle. In our latest report, we’ll reveal how getting dirty in the great outdoors far from being a bad thing. It helps children lead happier and healthier lives. We share our outdoor area with the Reception class. All the children have not only got access to a wide range of resources but the older children are great role models for them too. Please click here for the Early Years Foundation Stage Handbook. and here for the What to expect when - A Parents Guide supported by the Department of Education. Here are some ideas for you to help your child at home. 100 things to do before you are 6 years old! Your child will bring home a story book to share with you. Please help your child to look at, read and discuss the book. We regularly teach the children the importance of staying safe on the internet. We take part in E-safety day each year and this year was no different. Internet safety day was the 9th February and this year the theme is ‘Play your part for a better internet!’ and provides an opportunity for schools to make the most of the positive opportunities offered online, whilst giving young people the resilience, skills, knowledge and support they need to navigate any online risks they may come across.